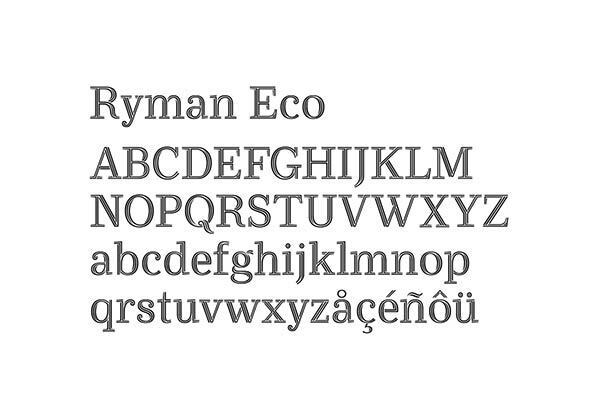 The Ryman Eco project is encouraging the world to use its sustainable typeface of the same name. The free font was created by Monotype’s Dan Rhatigan and creative agency Grey London for Ryman, a stationery retailer based in the UK. 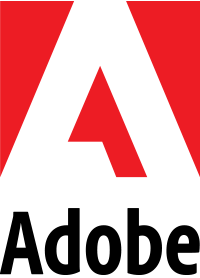 It uses on average one third less ink than standard fonts such as Arial, Times New Roman, Georgia and Verdana. 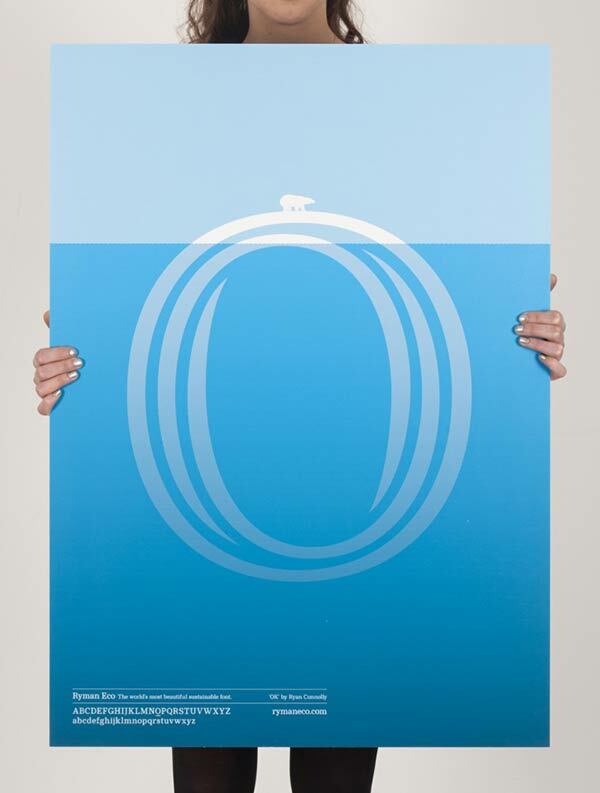 The font capitalizes on the ink bleed and toner spill that occurs on home and office printers. If everyone used Ryman Eco for printing, we could save more than 490 million ink cartridges every year. 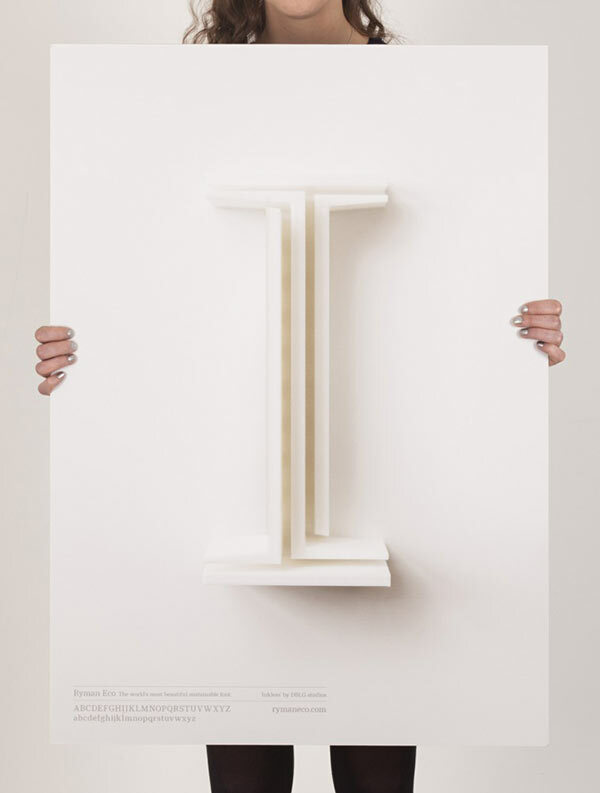 The Alphabet Poster Project showcases unique posters created by 26 handpicked designers, typographers and art directors that feature one letter from the Ryman Eco typeface. 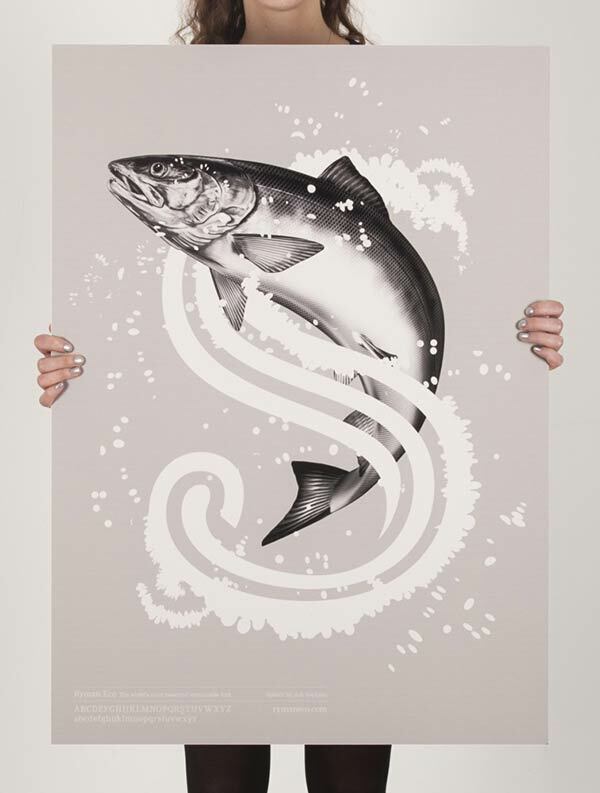 Some of the collaborators include artist Richard Hogg, illustrators Crispin Finn and book cover designer Jon Gray. Check out the Ryman Eco website for more about the typeface and to gain insight on the inspiration for some of the designs.